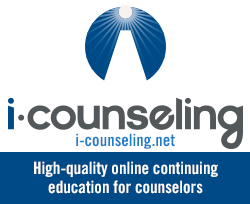 The Professional Counselor (TPC) confers the annual Dissertation Excellence Award to recognize original research that significantly contributes to the counseling profession. 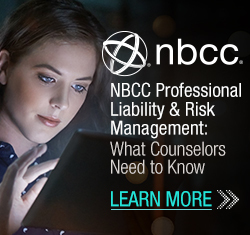 The editorial board committee evaluates entries based on the presentation and clarity of ideas, sound methodology and interpretation of findings, innovative quality, and contribution to the counseling profession. Applicants must be current graduate counseling students in good standing or recent graduates of a university or college accredited by the Council for Accreditation of Counseling & Related Educational Programs (CACREP)­­. Applicants must also hold the certification of National Certified Counselor (NCC). Dissertations eligible for the 2019 Dissertation Excellence Award must have been successfully completed between April 2017 and January 2019 and not published or submitted for potential publication. Please note that inclusion in the ProQuest database is not a publication and does not disqualify a dissertation from competition for this award. To enter, please submit a Dissertation Excellence Award application form, a letter of interest, an abstract from the dissertation and your curriculum vitae. 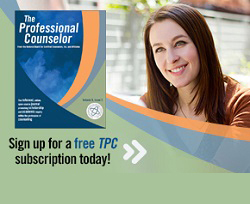 Attach the materials to an e-mail and send it to tpcjournal@nbcc.org. Entries are due by January 31, 2019. Finalists must submit an electronic copy of the complete dissertation and a letter of support from the chair of the dissertation committee. The winner of the award will have an opportunity to publish an article based on their dissertation in TPC. The Outstanding Scholar Award was created to recognize the most noteworthy article published in The Professional Counselor(TPC) each year. In 2013, TPC expanded the award to include two Outstanding Scholar Awards, one in each of two categories: concept/theory and quantitative or qualitative research. The winners are selected each year from the articles published in that year’s volume. The editorial board committee examines the articles published each year and selects winners based on the following criteria: scholarly style, innovative and inventive material, and relevance to the counseling profession. Authors do not need to apply for consideration. The winner of each award will receive a certificate of recognition and an honorarium. Winners will be announced in NBCC Visions, the official newsletter of NBCC.